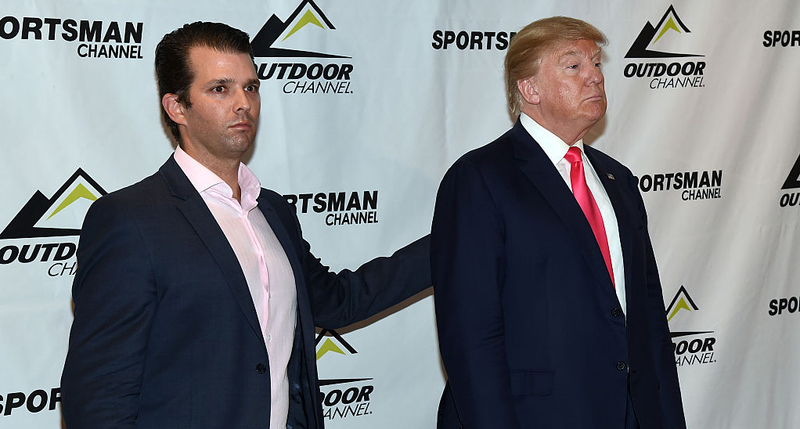 Doing a complete about-face after defending his son’s collusion with a Kremlin-linked lawyer during the campaign, Donald Trump now claims that he has no idea who “Donald Trump Jr.” is and has no connection to him. Shown photos of Don Jr. beside him at family gatherings and business and social events, even on election night and at the inauguration, Trump claimed not to remember who he was or why he was there. “I can’t stop people from photobombing me in this picture or that picture. For all we know, he could be from China or Iran. Or he might have been photoshopped in by James Comey, from what I’ve heard, that’s a strong possibility,” Trump insisted. It’s all Obama’s fault. Hillary did it. I have no knowledge of this. “I am NOT a crook”.